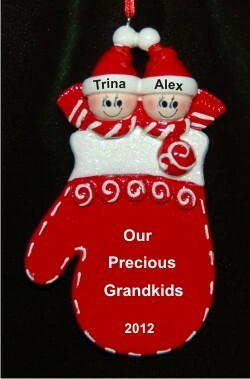 In the golden years, one of the most precious things to happen to us is a second grandchild. 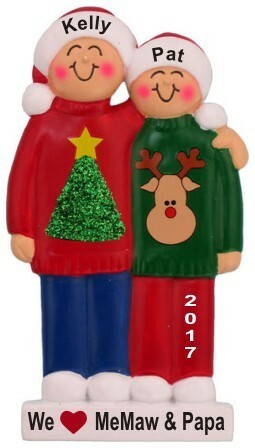 His or her arrival functions subconsciously as a symbol of what we must have done right in our lives some many years ago. 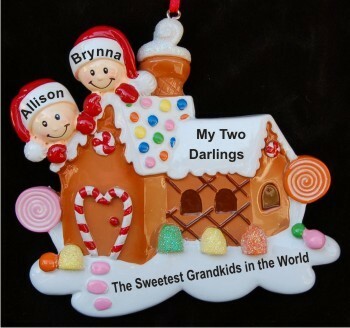 A second grandchild is a gift of joy that makes life and living all the more sweet. 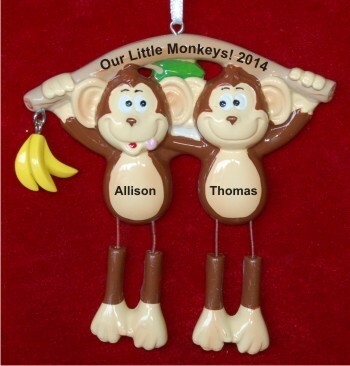 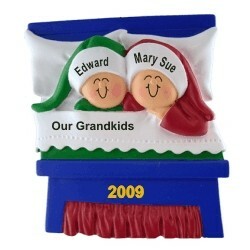 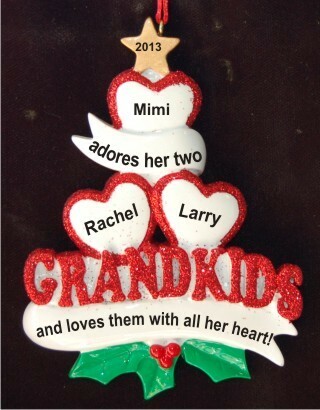 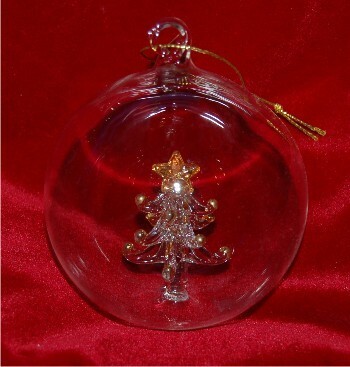 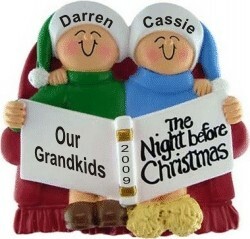 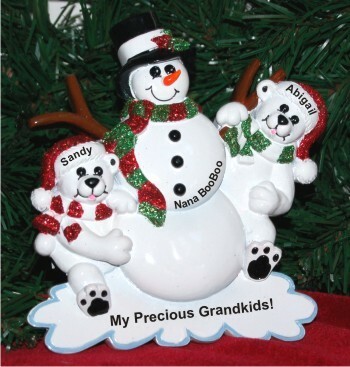 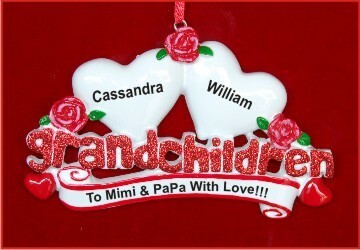 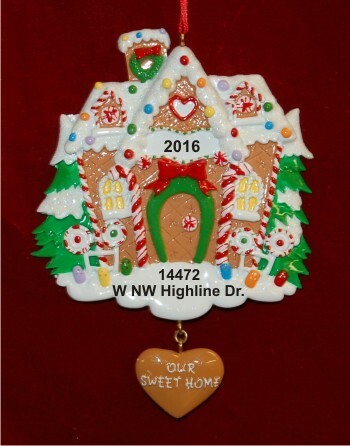 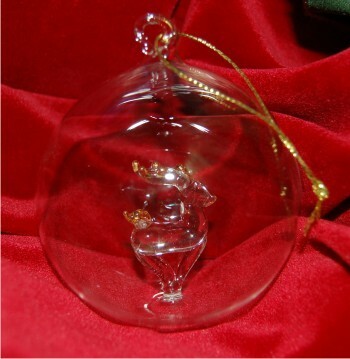 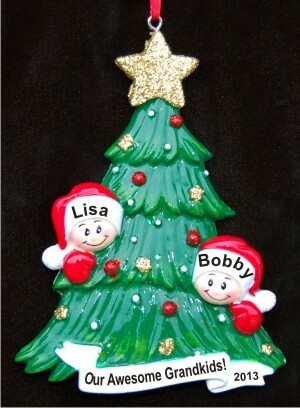 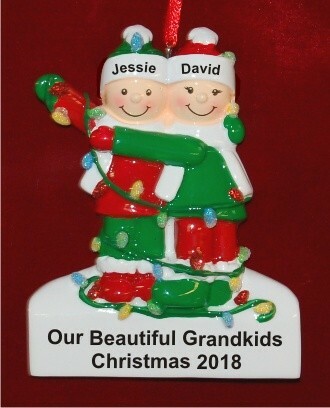 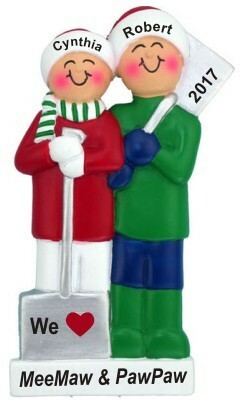 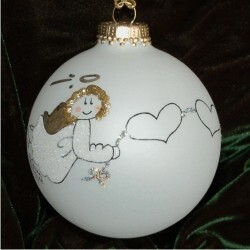 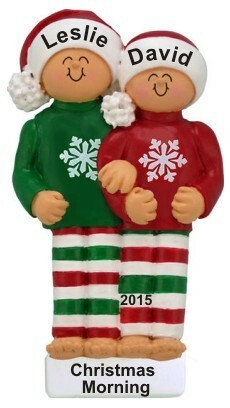 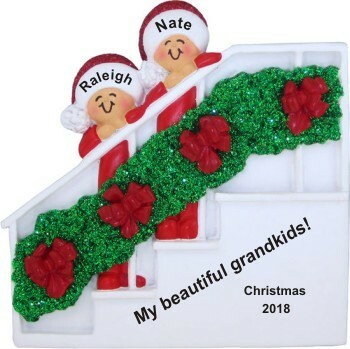 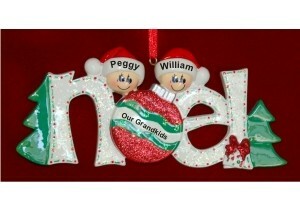 Choose personalized ornaments for grandparents with 2 grandkids as a special gift to grandma and grandpa with each child's name, the year, and your loving sentiment.